Tor is an application which helps you to stay anonymous while browsing the Internet. Websites don’t learn where you are visiting them, and anyone monitoring your internet traffic can’t learn what sites you visit. 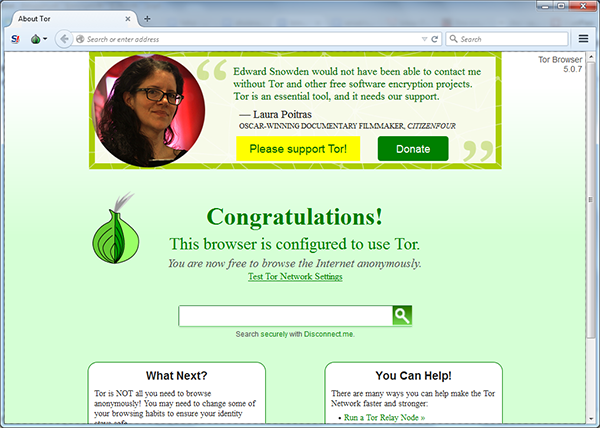 Moreover, you can open blocked and censored websites through Tor. Every type of communication is encrypted on the network. 1. Download the installer from https://www.torproject.org/projects/torbrowser.html.en from the Microsoft Windows column. 2. Opening the file will launch installation. 3. 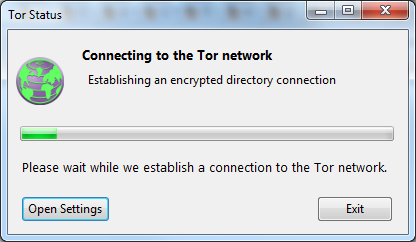 Clicking “Finish” at the end will launch the browser wizard and connect you to the network.From this point on you will be able to launch Tor from Applications by clicking Start Tor Browser. 1. Download the installer from https://www.torproject.org/projects/torbrowser.html.en from the Mac OS column. 2. Click on the downloaded file and drag and drop it to the Applications folder. You can search and open websites the same way as you do with any other browser. Bear in mind that when data leaves the Tor network and reaches its destination it is not encrypted. If you transfer sensitive date, make sure you have an HTTP connection to the site or the information is otherwise encrypted. When you are using the Tor browser, only what you transfer through it will be anonymized, not any other Internet traffic on your computer.